Is it the blue moon,yet? We’re supposed to have a blue moon this month. I have to go along with a good friend, who is disappointed that blue moons aren’t really blue. However, once in a blue moon, I draw something so different than what I usually do, that I have a hard time judging it or accepting it. I’m digressing; I was talking about crows. Another reason I love crows, is that they’re associated with Morrigan, the Pagan Goddess. She’s known for being fierce, sending out destruction and rebirth. That cycle of reality hits a chord for me, so, more reason to love crows. 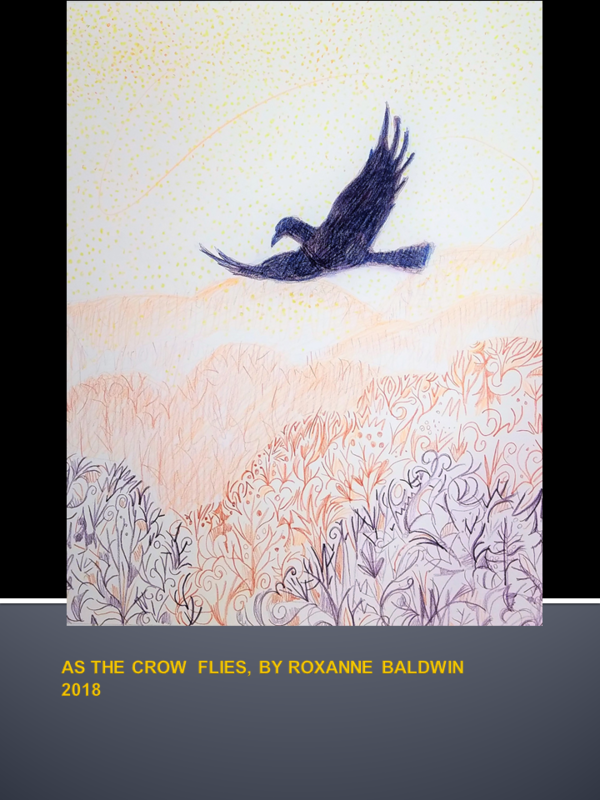 So, crows and blue moons…this is “As the Crow Flies”.